Generously grease a corn-stick pan and place in the oven to warm (a muffin tin will also work). Barely combine the wet and dry ingredients. 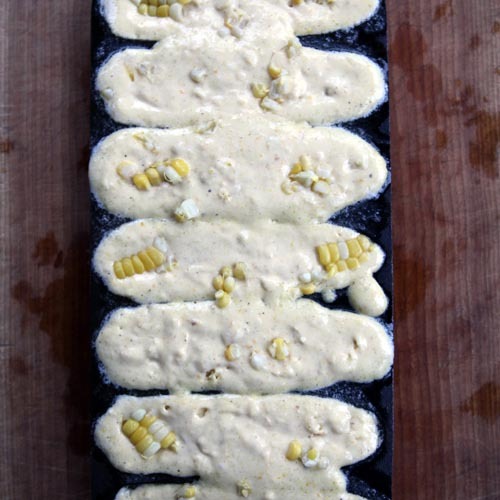 Pour the batter on top of the corn. Once the cobs are cool enough to handle, peel off the husks. 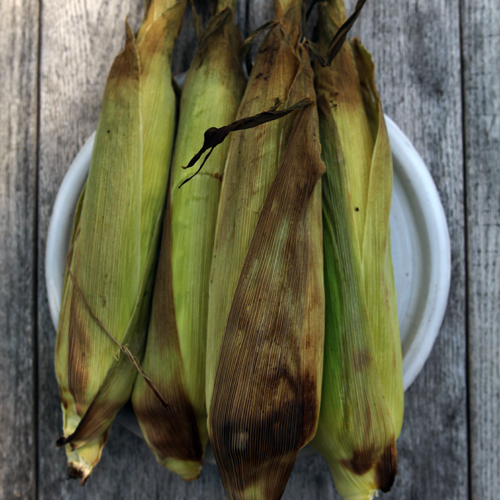 In a large bowl, stand the corncobs upright and cut the kernels off with a sharp knife, from the tip to the stalk.